In a new research article, a team of international researchers argue that the Tapanuli Orangutan–a species discovered last year in Sumatra, Indonesia, and one of the rarest animals on the planet–could lose its battle for survival, unless decisive steps are taken to rescue it. "In forty years of research, I don't think I've ever seen anything this dramatic," said Professor William Laurance from James Cook University in Australia, leader of the research team. "This is just the seventh species of Great Ape ever discovered, and it could go extinct right before our eyes," said Professor Jatna Supriatna from the University of Indonesia, a co-author of the study. "Fewer than 800 of the apes survive, and they're under assault from mega-projects, deforestation, road building, and poaching," said Dr Sean Sloan, lead author of the article in Current Biology. "Their entire remaining habitat is unbelievably small–less than a tenth the size of Sydney, Australia," said Sloan. The authors say the most imminent threat is a planned U.S.$1.6 billion mega-dam–the Batang Toru project–that would be constructed by a Chinese state-owned corporation, Sinohydro, and funded by Chinese financiers. 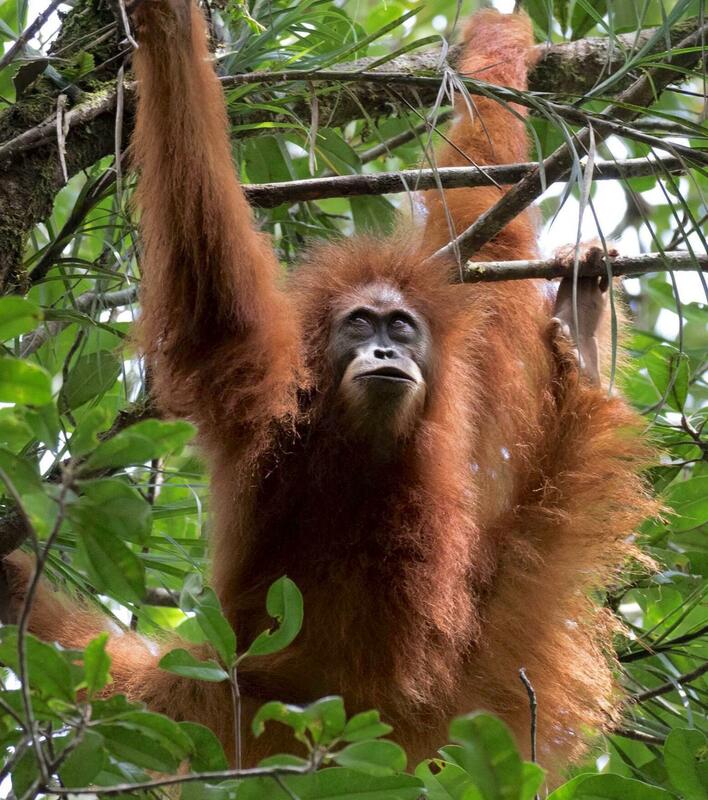 "If it proceeds, the dam will flood crucial parts of the ape's habitat, while chopping up its remaining habitat with new roads and powerlines," said Supriatna. The team discovered the ape survives only in areas with virtually no roads, which promote illegal logging, clearing, and poaching. "This is a critical test for China and Indonesia. They say they want sustainable development–but words are cheap," said Laurance. "Without urgent action, this could be ecological Armageddon for one of our closest living relatives." Reference: Sean Sloan, Jatna Supriatna, Mason Campbell, Mohammed Alamgir, and William F. Laurance. 2018. Newly discovered orangutan species requires urgent habitat protection. Current Biology 28:R1-R3.